Italian Witchcraft (previously titled Ways of the Strega) is more than just a book about Witchcraft. It is a complete Book of Shadows. In it you will find the history of this ancient tradition, its legends and myths, as well as the rituals and rites that you can do today. 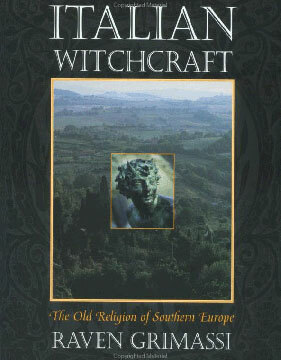 It has a new chapter titled Tuscan Witchcraft along with several new appendices. For example, one of the appendices compares the tenets of Gardnerian Wicca with excerpts from Leland's work, demonstrating that their appearance in print predates Gardner's writings. Additionally the book has several chapters that have new material added within the old text. Some editing has been done here and there for clarification, and the book also contains a few new art pieces. You'll learn secret gestures of power and secret symbols. And you can use them all! Also revealed are the secrets of the tools of the Italian Witch. You'll learn how to prepare the "Spirit Blade" and the ritual wand. You'll learn how to make the Spirit Bowl and use to consecrate other tools and talismans.